28 December 2012 – The mother of Sergei Magnitsky said she would boycott today’s hearing where a Moscow court is scheduled to announce the verdict in the case of Dmitry Kratov, former deputy head of Butyrka, the only official charged in connection with the death of her son. In the prosecutor’s surprise legal u-turn, he stated that Kratov acted in accordance with his duties, and that he was not aware of and could not have been aware of any requests from Sergei Magnitsky for medical help. «Participation in this court hearing would have been humiliating for me. I understand that everything has been decided in advance and everything has been pre-determined,» said Natalia Magnitskaya. The prosecutor’s exoneration is being done in spite of wide ranging evidence presented at the trial of written requests for medical attention addressed to Kratov from Sergei Magnitsky himself, his mother, and his colleagues, as well as a testimony from a cellmate of Magnitsky confirming the existence of such requests having been made by Magnitsky to Kratov. Dmitry Kratov signed the prison medical record on 7 October 2009, one month before Magnitsky’s death, where the diagnosis of pancreatitis and gallstones, and prescribed surgery and other medical treatment were clearly present. On the same date, 7 October 2009, Kratov refused a request for medical attention from Magnitsky’s lawyer stating that Magnitsky could still be held in custody given his «medical indications». 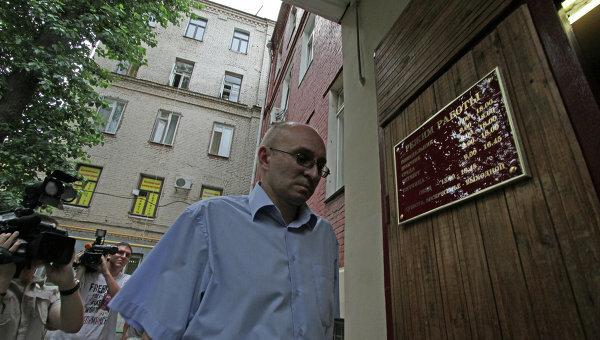 On 11 November 2009, five days before Sergei Magnitsky’s death, Kratov signed another medical certificate stating that Magnitsky had acute pancreatitis and gallstones and still could have been held in custody, which was used to prolong the period of his detention. «The conclusion that Kratov was unaware of complaints and requests for medical help is incredible given that he signed medical records, refusing requests and stating Magnitsky can be held in custody instead of being released to get medical attention. Not only he was aware of Magnitsky’s diagnoses, he personally confirmed them, denied all requests for medical help and issued decisions that Magnitsky could be held in custody. The fact that the state is calling for his exoneration shows clearly that this case is being directed from the highest political levels in Russia», said a Hermitage Capital representative.